Without a comprehensive inbound marketing strategy, the inbound marketing tactics will struggle to produce results. Here’s how to fix that. Why Is Marketing Strategy So Important? If you’ve never baked a three-layer chocolate cake, would you ever start without a recipe? Would you ever depart on a car trip, to a place you’ve never been before, without a map or GPS? Would you attempt to run a marathon without training? The answer to all three questions is probably going to be a resounding “no.” Yet every single day, people in companies big and small start doing inbound marketing without a plan, map, recipe or training. Why? But it’s not the same and the string of unsuccessful inbound efforts that result in requests for help to our agency highlight the differences and the challenges traditional marketers are not prepared to face. 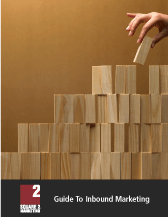 In this chapter, we’ll show you what you’ve been missing and how to fill in the gaps so your marketing produces leads and new customers. Typically, most people understand the concept of personas, and we see personas 85% of the time we’re asked to assess an inbound program. Most people understand the reason they want to profile their best prospects and how they use this information in their day-to-day execution. However, most of the personas we see are incomplete. They’re missing two elements: online behavioral profiles and rich psychographic details. The online behavioral profile includes a set of characteristics highlighting your prospects’ online activities. What websites do they visit frequently? What email lists do they subscribe to? What LinkedIn Groups are they members of? What web magazines do they read? You get the idea. This online profile is critical to completing an inbound marketing persona. Since people do business with people, using only demographics like sales volume, employee numbers, titles and industries is an incomplete persona effort. To truly identify who you want your inbound marketing to attract, you’re going to also need a full set of psychographic characteristics. Psychographic profile data includes features like personality, lifestyle and opinions. As an example, our personas include people who view marketing as an investment, not a cost. Another is people who have long-term perspectives on their marketing efforts, as opposed to those who want a quick fix. Make sure you add this type of detail into your personal profiles. Now for the hard work. You need to understand with a great degree of detail what pains, challenges and issues these people are dealing with (related to your product or service). You need to understand the questions they’re asking during the awareness stage, the consideration stage and the decision-making stage of their buyer journey. These questions are going to be critical to almost every single inbound marketing tactic we discuss in the implementation and build phase. By understanding their pains and directly relating the pains of your personas to your solutions, you’ll have the raw materials for the messaging you need. 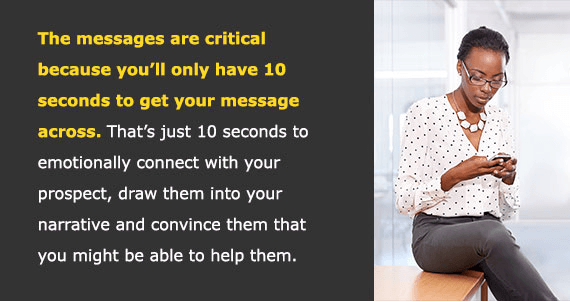 These messages are the difference between success and failure, and they’re missing in almost every marketing effort that we’re asked to review. You’re going to want to know how you solve those pains, but more importantly, how you solve those pains in a way that none of your competitors can say. We call this being remarkable. To be remarkable, no one else can say it. Whether it’s true or not, they would never say it. 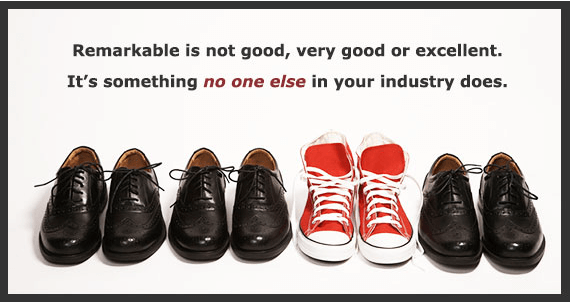 Remarkable is hard to achieve, but once you’re there, a sustainable competitive advantage becomes yours and yours alone. 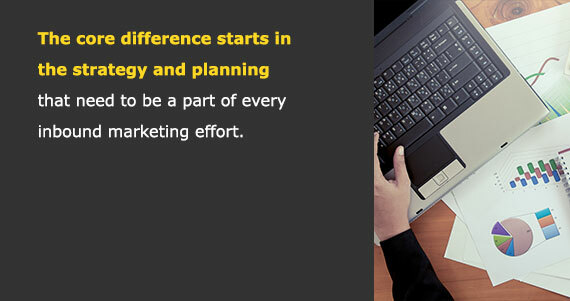 This element of marketing strategy is also missing in almost every single instance of inbound marketing. We know; it’s too hard to be remarkable. But without it, you can count on lower-than-expected results. So, it does come down to you. Do you want leads or do you want easy? It’s not enough to have the right messaging and remarkable elements of your business. These two concepts need to be converted into stories. People (your prospects) remember stories, they share stories, they internalize stories and they understand stories. Human beings are not wired to remember features and benefits. On the other hand, stories unlock several hidden places in our brains that contribute to people wanting to do business with you. But all stories are not created equal. Focus on creating stories that feature your prospects as the hero and stories that clearly articulate what you do, how you do it and why it’s going to help your prospects. Your stories must be about your prospects and not about you if you want your inbound marketing to work and generate leads for your business. Believe it or not, you’re only 50% done with your strategy work. 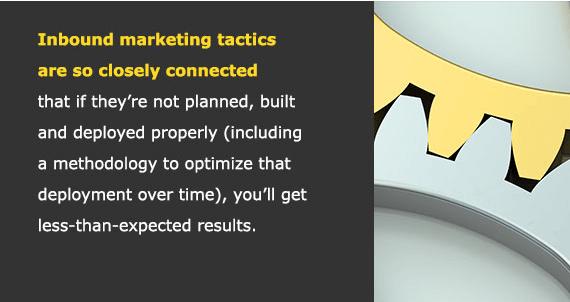 The rest of the strategy includes carefully selecting, connecting and planning for the inbound marketing tactics required to get you to your business goals. You probably think you’ve done this part and you likely have done some of it. For instance, you probably have a website, and perhaps you recently revamped it. You might do blogging, create content, have an email campaign and post to social sites. You might even use a marketing automation software tool. It’s just not enough. The tactics within an inbound marketing program are fool’s gold, meaning just because you have them doesn’t mean they’ll produce results. Here’s an example. Your search strategy needs to be perfectly aligned with your content strategy (long- and short-form), your website strategy and your conversion strategy. Each of these will fail if not properly connected to each other. You’re probably blogging, but about what? What keywords, phrases or questions are the backbone to your blogging effort? What long-form content offers are your blog articles promoting? Are they in context to the content in the article? What pages on your website are optimized for the keywords you want to be found for? What offers are on those pages? What stories do those pages tell? What phases of the buyer journey are those pages designed to support? I could go on and on and on. Most people do not have their inbound marketing orchestrated well enough to answer all these questions and that’s why they don’t get leads from their inbound marketing. You’re going to want to back into these tactics, based on quantitatively analyzing your revenue targets as well as your current marketing and sales funnel metrics. As an example, if you need 1,000 leads to get you to your goals because you only close 10% of those leads, that’s going to require one type of program. If you only need 100 leads because you close 75% of those leads, that math is going to produce an entirely different inbound marketing program. Every program for every business is different. There are no programmatic packages or best practices. Each inbound program needs to be customized to fit you, your business, your industry and your goals. As part of your inbound marketing strategy, you need to know where you are today and where you want to be next month, in six months, in 12 months and in three years. It’s impossible to plan, build and optimize an inbound marketing program if you don’t know where you are today and where you need that program to take you. Inbound marketing is 100% measurable, so part of the planning and strategy process has to be the setting of goals and potential projections. These projections are based on the current benchmark data and the planned rollout of the selected tactics. If you change the rollout, plan to change the projections. If you change the selection of tactics, plan to change the projections. There is a direct cause-and-effect relationship between the tactics and the numbers. You should go into inbound marketing with a complete understanding of the interconnected relationship between the strategy, plan and optimization effort to the performance metrics. For example, if you delay your website from launching by two weeks, expect to drop the lead numbers. If you change your overall company strategy six months into the program, expect to redo all the metrics projections. If you decide pay-per-click is not in the budget after all, plan to drop the website visitor projections. If you make another set of revisions to your e-book and delay the publication date, you’ll need to lower the lead goals projected to come from the publication and promotion of that e-book. If you make enough negative decisions and not enough positive decisions, you might be looking at delaying major lead numbers by four or five months, and that could impact your year in a dramatic way. The bottom line is your decisions impact your results, so treat those decisions carefully, trust your advisors and lean on the people who have deep experience planning, executing and growing inbound programs. In the upcoming chapters, we’ll look at the tactics in a much deeper manner, starting with the next chapter when we’ll dig into how you turn your website from an electronic brochure into a lead-generating machine.